Hey, great site about hardware background in VFX and much more, very thanks! Why do you have to use v-ray? Does it have some features, other renderers doesnt have? Also some more informations about how to connect and setup render slaves would be great! I have plan to build new workstation and from older one make render slave. Is somewhere on the internet site about gfx workstations and fresh news about new hardware suitable for gfx work pls? Thnx again, very usefull stuff you have here! Hi, good information and guide on the usage of Prime Focus. Really liked your blogs. 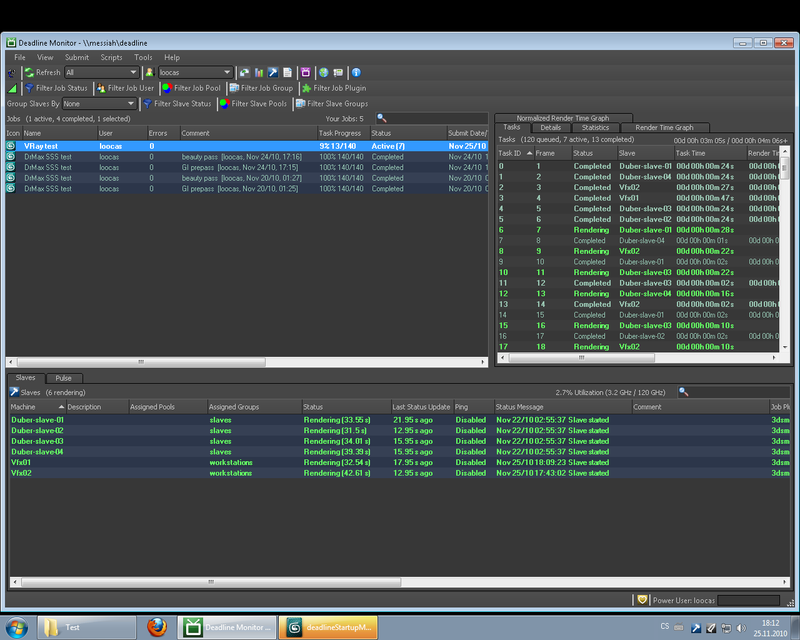 I currently use 3DS Max 2010 and Vray on 5 machines. Is there a way I can use Prime focus to render single frames (distributing it over these machines). It would be really helpful as I do Archviz projects and mostly these are single renders.